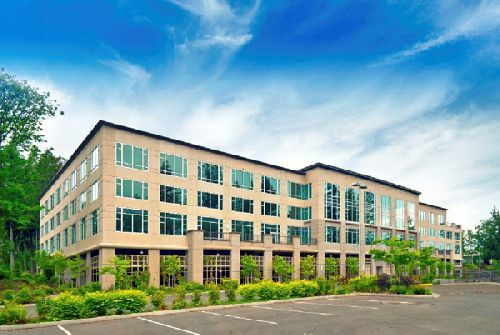 Bellevue-based Sterling Realty Organization purchased Redmond Technology Center, a 101.7k sf, Class A office building in Redmond, WA. The five-story property, located at 18300 Redmond Way, was sold by Transwestern Investment Group, on behalf of one of its managed funds. The deal is reported to have a value of about $37.6 mil, or $370/sf. Redmond Technology Center is 93% occupied and anchored by Pushpay Ltd. The multitenant office building is leased to six established local and international companies with staggered lease maturities. Constructed in 2008, Redmond Technology Center is a LEED Gold-certified, trophy-quality asset. The building features best-in-class improvements throughout, including exposed-ceiling creative workspace in the majority of the tenant suites, a dramatic two-story lobby, underground parking and a state-of-the-art fitness center. The property is located within the Redmond submarket, which has been the most dynamic and strongest performing of the Eastside submarkets over the past 12 months. Since 2010, over 4,000 multifamily units and 22,000 single-family homes have been delivered, with an additional 1,300 multifamily units currently approved and permitted. The East Link Light Rail extension is part of a regional effort to accommodate the influx of residents into the area and will include a future station within walking distance to the property. The Light Rail will connect riders from the Eastside’s population and employment centers to downtown Seattle, Sea-Tac Airport and the University of Washington. The Seattle office market has been among the strongest in the nation led by the rapid expansion of tech giants Amazon, Microsoft, and Facebook. The greater Redmond market has been driven by the explosive growth of Facebook’s virtual reality division, Oculus, which now occupies over 885k sf. This has led to a rapid decline in vacancy to just 1.5% at the end of the second quarter, the lowest level since fourth quarter 2000. Redmond is also the home of Microsoft, which controls approximately 15 msf in the submarket. The company recently announced plans to expand and renovate its main office campus to accommodate an additional 8,000 employees on top of its approximately 47,000-person head count currently in the market. Kidder Mathew represented the seller in the transaction and provides management and leasing services.